Cardiff offers a range of local delicacies that you would be mad to miss. Take a wander along the bay and sample the delights held within Fabulous Welshcakes. A shop specializing in the traditional Welsh snack. If you’re looking for something meatier, look no further than Clarks’ Pies. It has been synonymous with the city since 1912. Wales is famous for its spectacular castles, and Cardiff is home to two fine examples. Cardiff Castle, situated in the heart of the city center, has over 2,000 years of history. Castell Coch, on the other hand, is a spectacular 19th Century Gothic Revival castle. It was built on the remains of a 13th Century structure on the outskirts of the city. The museums offer something for everyone, regardless of age. Kids of all ages will have a blast at Techniquest Science Discovery Centre, which offers eye-popping exhibitions, a science theatre, and a stunning planetarium. The National Museum Cardiff is also a fantastic option, offering displays covering art, archaeology, natural history, and geology. The city center’s beautiful Old Library is currently playing host to The Cardiff Story, a series of exhibitions demonstrating the story of how it came to be today. Cardiff is sixth in the UK’s retail rankings, with its expanded St David’s shopping center currently the third busiest mall in the UK. When you throw the Victorian arcades into the mix, with their fill of quirky, independent shops, you’ve got a shopaholic’s dream. Be sure to bring plenty of spending money! If you’re a fan of a sport, you’re spoilt for choice. One option is to take in a game or take part in the famous Millennium Stadium, which plays host to everything from rugby to speedway. Alternatives include football and rugby at the City Stadium, cricket at SWALEC Stadium, ice hockey at Cardiff Arena or athletics at the International Sports Stadium – plus many more! The city will also host Olympic football in 2012. 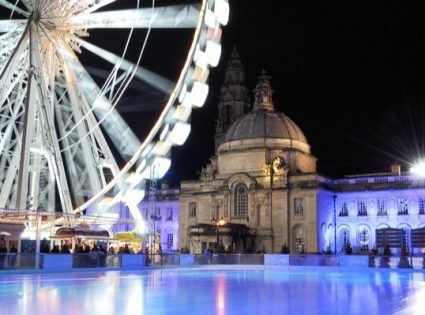 Whatever you’re into, Cardiff has more than enough to offer to pack out an exciting day out or weekend break. And with plenty of online deals to be had, hotels in Cardiff are available at entirely reasonable prices, making it an inexpensive destination.